I had a dentist appointment today and, since I was in the neighbourhood, I took myself down to Cadboro Bay afterwards to see if I could get a great shot of some reflections. No dice. But then I remembered that this morning I saw my own reflection in a large metal spoon on the drying rack in the kitchen. And it reminded me of a photo I took about years ago in photography college (which you can see here, if you're interested), so I decided to recreate it. 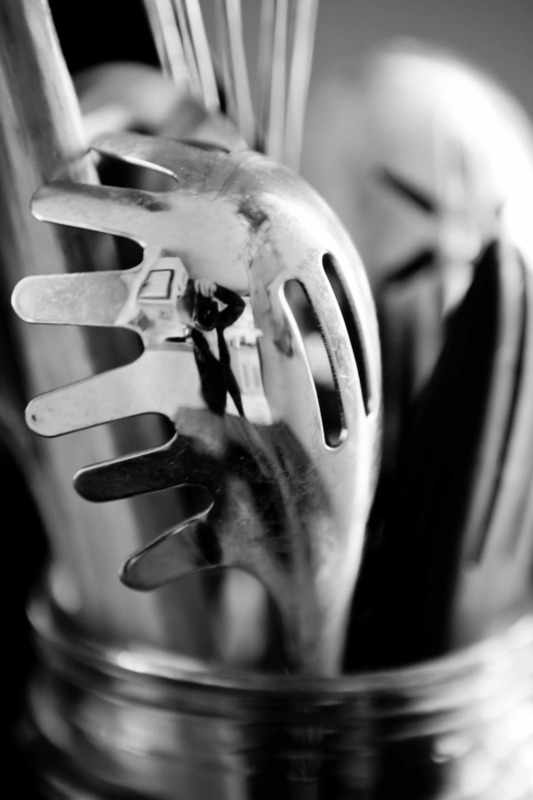 This is my reflection in a kitchen utensil. Check out Monica's photo here.